Beth had an old jacket that was way too big for her but had such a great fabric! She wanted it recycled into something other than a jacket that she could wear again. 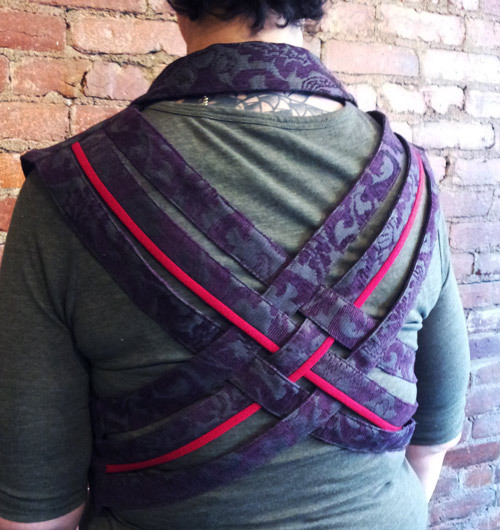 After looking at a few pictures of our designs, she decided that she wanted it turned into one of our woven vests. We removed the sleeves and met up again to discuss how she wanted the fit, and what color accent stripe she wanted across the back. 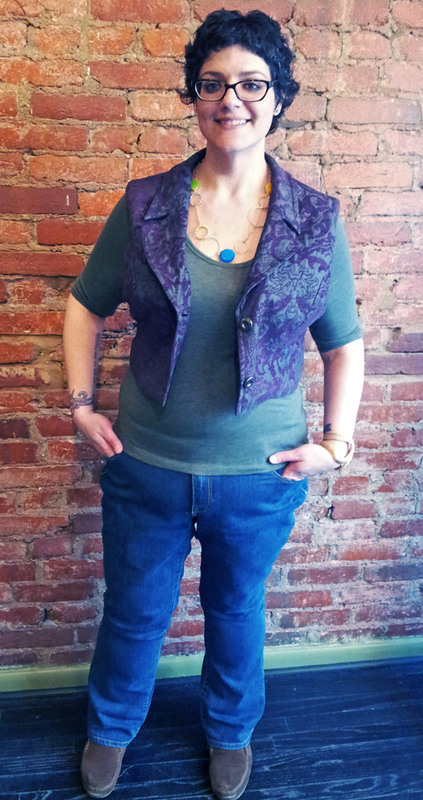 We decided to fit the vest so it was cropped, and could be worn buttoned and super tailored, or un-buttoned to be a little more casual an relaxed. Now she has a sassy new piece to add to her closet and wear around town in DC! Do you have an old jacket that you love the fabric on, but you are ready for it to have another life cycle as something else? 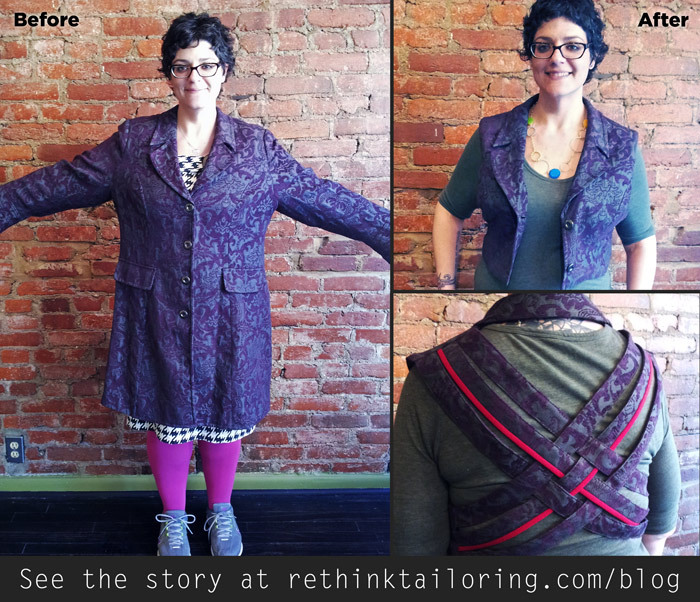 Email me about your project at kristen@rethinktailoring.com and we can brainstorm ideas!